Our partnership with FPG not only helps us to validate our market, but also allows us to learn from one of the leading market research firms in the country while rapidly iterating our product. Marketing technology company Gauge Insights today announced the launch of its mobile application, Gauge, as a way for brands to create customized market research campaigns that will provide product feedback and customer rewards within minutes. The strategic partnership with Focus Pointe Global has been instrumental in beta testing the app, providing valuable user and design feedback. Gauge’s technology will help power the FPG Think Tank™ platform. Gauge Insights, a new marketing technology company, focuses on providing quality market research data to companies more quickly than ever. With its new app, the company has applied technology in a way that gives brands the ability to create various campaigns and receive feedback on new concepts, package designs, ad campaigns, and branding designs. Users of the app are then rewarded for their input by earning points, which can later be redeemed for a choice of gift cards inside of the app. As Gauge Insights continues to grow, it will release new features to include text-questions and testing multiple images at once. Gauge’s goal is to be the go-to platform for quick insights. FPG is a marketing research company with data collection services that include a wide range of in-person and online methodologies. Our purpose is to help companies make better decisions about the products and services they bring to market. We own and operate 18 focus group facilities located strategically in major markets across the United States and are considered a leader in the qualitative and quantitative marketing research data collection space. FPG recruits participants from our 1.6 million member, deeply-profiled national panel. 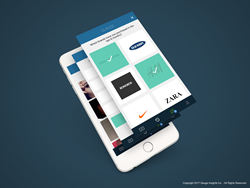 Gauge InsightsGauge is a new lifestyle app that allows you to capture immediate feedback on ideas, concepts, and designs with a simple swipe.